On Monday, September 25, 2017, Laurence E. Tobey, Minister-Counselor for Consular Affairs at the U.S. Embassy in Russia, gave an informative presentation on the status of the U.S. Mission to Russia. The talk was sponsored by the American Chamber of Commerce in Russia. Mr. Tobey’s address focused on describing events of the preceding months, the Consular Section’s response to those events, and how visa applicants can best work with the Consular Section in light of new developments. In response to further sanctions against Russia by the United States, in late July Russian President Vladimir Putin demanded that the U.S. Mission to Russia reduce its staff by 60%, shrinking the combined total of U.S. diplomatic personnel and local Russian staff to 455 persons. The State Department hit back on August 21 with an announcement that the U.S. Embassy and Consulates in Russia would suspend nonimmigrant-visa issuance starting August 23. The State Department further announced that, effective September 1, nonimmigrant-visa interviews would take place only at the U.S .Embassy in Moscow and that all such interviews at U.S. Consulates in St. Petersburg, Yekaterinburg, and Vladivostok would be suspended indefinitely. Even before the announcement, a staff shortage at the U.S. Embassy in Moscow meant there were already long wait times for nonimmigrant-visa-interview appointments. The good news is that the Consular Section will move to a new building on the main Embassy compound. The facility has been under construction for three years and is approximately 95% complete. It was initially slated for completion at the beginning of October, but that target has been pushed back to December 18 because of the 60% staff reduction, which also affected the Office of Buildings and Operations. According to Mr. Tobey, the new building represents a revolutionary step forward that will enable heightened productivity. 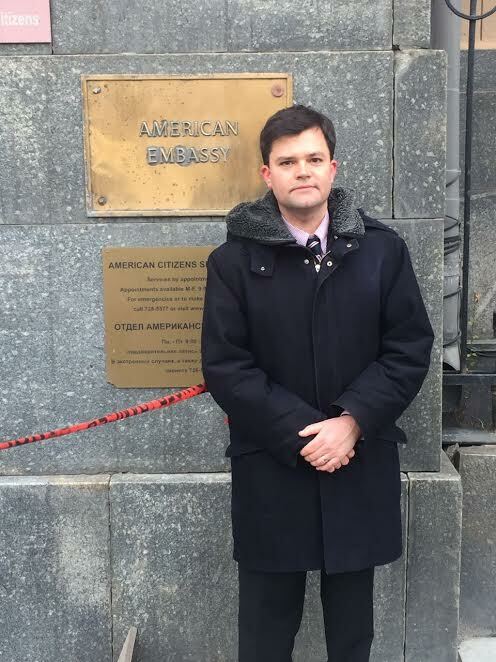 Even with a reduced staff, the Embassy hopes to realize efficiency gains, faster and better service, and a much safer and more pleasant environment. The Embassy will also continue to rebalance its workload. Starting in October, it will change its work regime so that three days a week are devoted to nonimmigrant-visa processing and two days to immigrant-visa processing. Mr. Tobey candidly remarked that the simplest and best solution for visa applicants requiring an interview is NOT to apply within Russia. Russian citizens are permitted to apply for U.S. visas outside Russia. There is no obligation to apply from inside the country, Mr. Tobey explained, and Russian citizens will not be disadvantaged if they apply from elsewhere. He went so far as to strongly encourage Russians to apply outside of Russia. Matthew Morley is an American attorney based in Moscow practicing in the area of US immigration and nationality law.